Often the two words are synonyms, actually they are two different steps that take place in the winery. The maturation can take place in different materials, like cement, fiberglass and steel. They allow to respect some hygienic rules to preserve the wine from the attack of the bacteria. During this step the the substances in the surface fall down and as a consequence the wine become clear. Red wines can be poured up to four times during the year. The white wines don’t have this need as they have less precipitations. The aging follow the maturation. The wine is poured in wooden barrels and it ages slowly. Despite other materials like steel and fiberglass, the wood allow a micro-oxygenation of the wine. The bottles has to have a good preparation. Possible flaws in the preparation of the barrel can damage the quality of the wine. Micro-organisms could attack the product causing illness and damages. 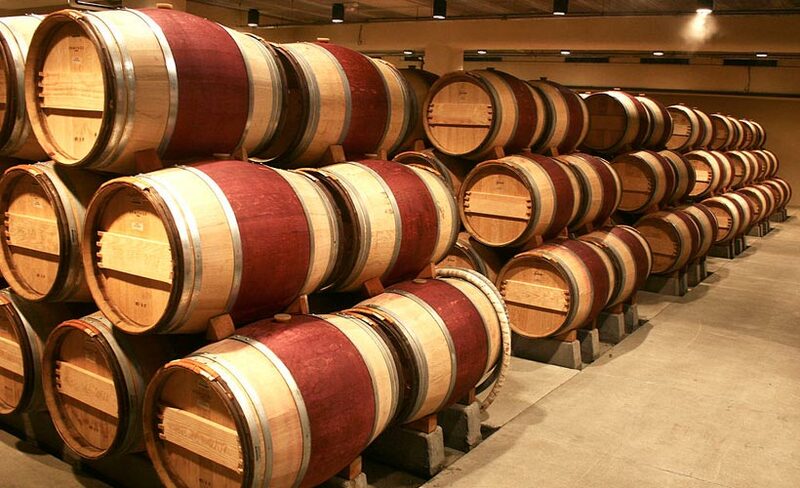 In Italy, all some years ago, people used great wooden barrels for important red wines like Brunello and Barolo. Then, France spread the use of “barrique”. They are barrels, generally made of durmast, with the capacity of 225 l.
When the period of aging is considered ideal, it is possible to bottle. In the bottle, the wine will continue to enrich of aromas. A good refining depends on the conditions of the bottle. The ideal winery to keep a good wine shouldn’t have been improvised. The idea of a dusty and not airy places is surpassed. The most important thing is ideal humidity, that has to be around the 70%. Environment with dry air can brought to a narrowing of the corks with the consequent exit of the wine. On the contrary, too much humidity, besides ruining the labels can brought to the proliferation of the moulds. The temperature as to be between 10-15 °C. Too much heat will damage the volatile substances of the wine, too cold could increase the volume of the wines with a low alcoholic volume, causing the expulsion of the cork. The light shouldn’t be direct because if a bottle is hit directly by the sunlight, it can develop garlic notes. The attitude of a wine to be aged, depends on different factors at the base of its production. The vine variety where the grapes come from is the main factor that that determinate the aging of wine. 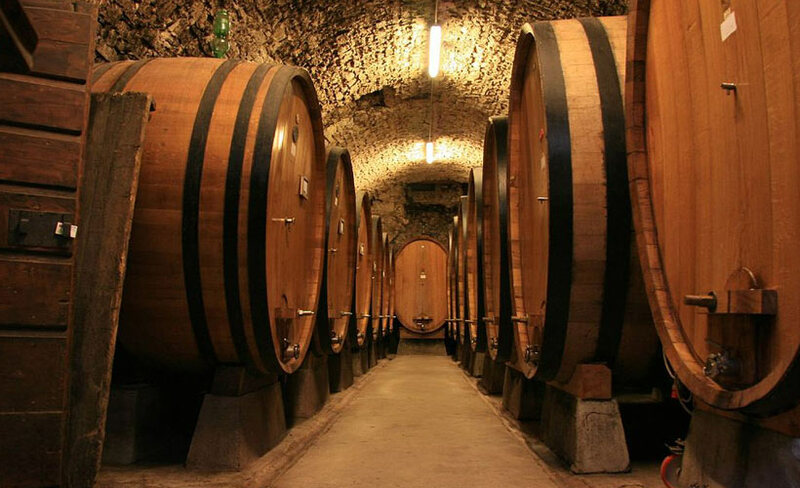 Nebbiolo, Sangiovese, Primitivo, Corvina, Aglianico, Primitivo and Negramaro are just some examples of vineries used for the production of aging wines. Their grapes are well structured to release many anthocyanin and polyphenols that determine the structure of the wine. The grapes, obviously, have to be worked with specific techniques to obtain their best. The most important thing is to preserve the wine from bacteria attacks and illness. Keeping it healthy is the ideal requirement. At the core of a good aging there is the condition of the year. If the weather conditions have been bad, they can compromise the integrity of the grapes and their quality. The colour of the wine, at the beginning red-violet, becomes a ruby red colour, more or less strong. Going on with the aging, the colour becomes dark red. The notes of a young wines remind fruit and fresh flowers, but the aging there will be notes of jam, spices, toasted that derives from the refining. When the taste, that at the beginning, is tough and sour the aging soften it.